A pack of 10 mum's advice cards with our cute darker skinned baby as an image. 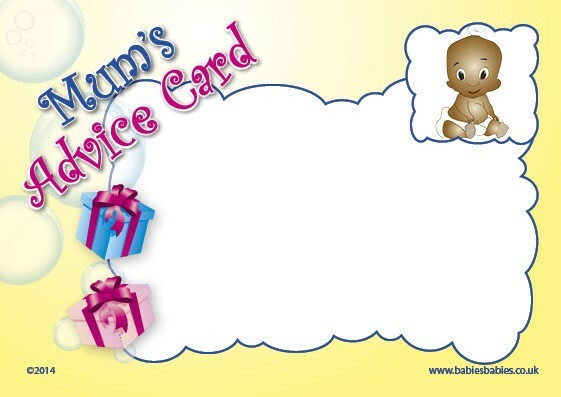 These are a must have activity for every Baby Shower. A fun thing to do at the Baby Shower! 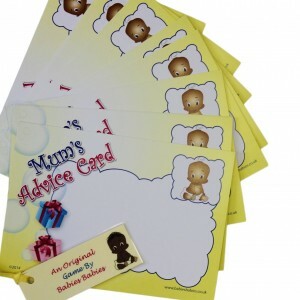 These cards are a lovely alternative to a guest book as they remind Mum of who attended her Baby Shower party.